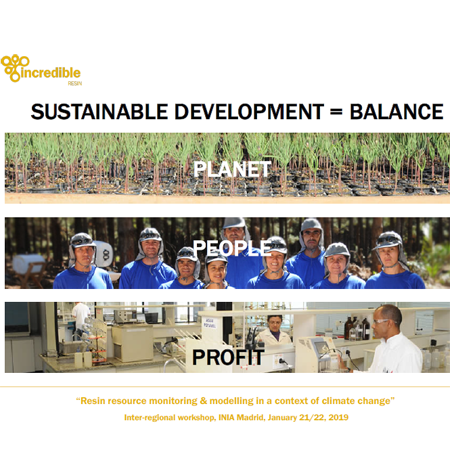 Interregional Workshop 'Resin resource modelling in a context of climate change' (Madrid, 21-22 January 2019). Presentations of the Session 3. 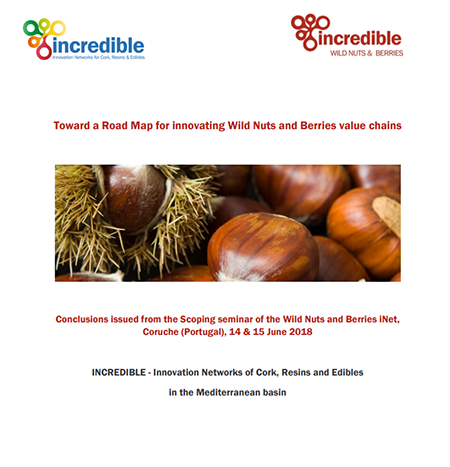 Resin yield data & models, a support for resource mobilisation – what can science tell us? Yield data and models for a sustainable resin sector in the mediterranean area, by Mariana Ferreira (LURESA Resinas SL). What information is needed for market and profitability analysis of resin tapping systems? 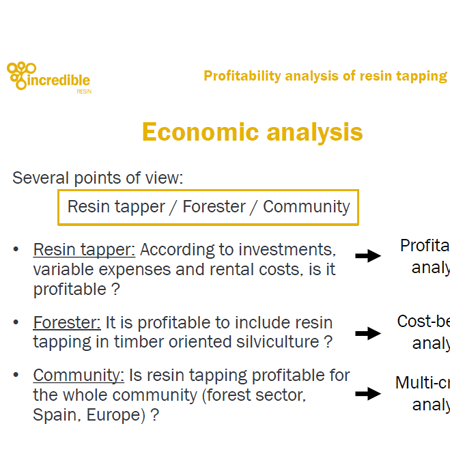 What information is needed for market and profitability analysis of resin tapping systems?, by Armand Clopeau (EFI and SustForest Plus Project). SustForest Lab & sampling protocols for Maritime pine resin as forest resource, by Ricardo Alía (INIA-iuFOR). 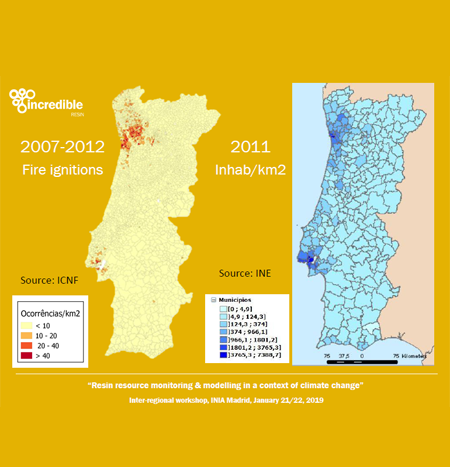 Rural abandonment and evolution towards megafires – a rural renaissance needed? Interregional Workshop 'Resin resource modelling in a context of climate change' (Madrid, 21-22 January 2019). Presentations of the Session 2. Threats & challenges for resin tapping in pine forests – what are we facing? Interregional Workshop 'Resin resource modelling in a context of climate change' (Madrid, 21-22 January 2019). Presentations of the Session 1. 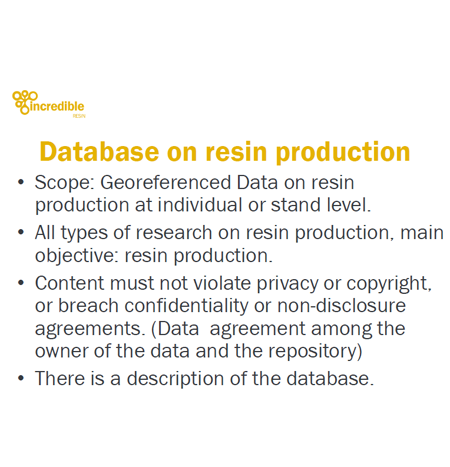 Resin production from pine forests: resources, inventory and monitoring – where are we? 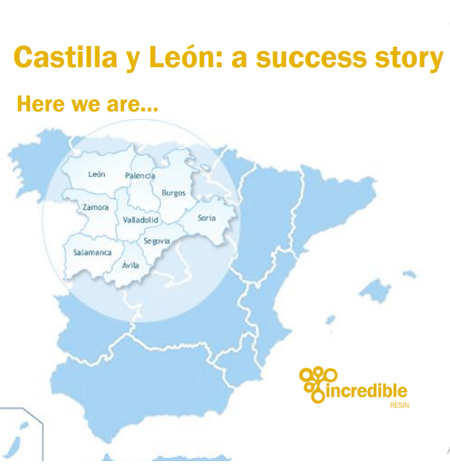 Resin tapping in Castilla y León – keys of a success story, by Javier Ezquerra & Álvaro Picardo (Regional Government of Castilla y León, Spain). Resin in Spanish National Forest Inventory & statistics, by Elena Robla; P. Adame; Icíar Alberdi & Guillermo Fernández Centeno (INIA). 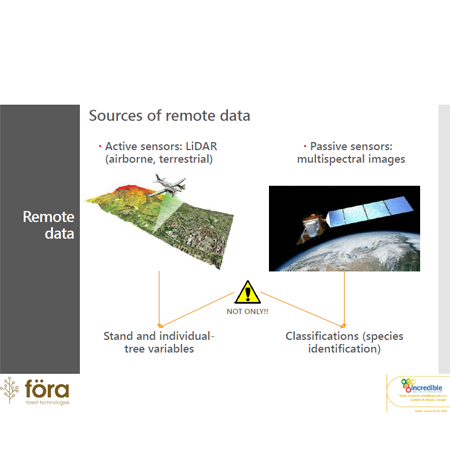 Remote sensing approaches to forest resource inventories for resin yield modelling, by Rafael Alonso (föra forest technologies).